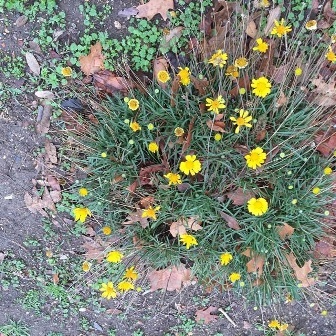 Growth Habit/Culture: Four-nerve daisy is a low growing, upright perennial to 1 foot, from a woody base. The solitary stem is branched at the base forming a clump. The solitary flower heads occur at the end of silky, leafless stalks. The tip of each yellow rayflower is three-toothed. Long, narrow, silvery-green leaves are crowded mostly toward the base. It’s native to dry plains and rocky hillsides. It is reported to grow in the lower 48 states, but it appears to be able to grow almost anywhere in the country where the drainage is good. Propagation: Seeds. 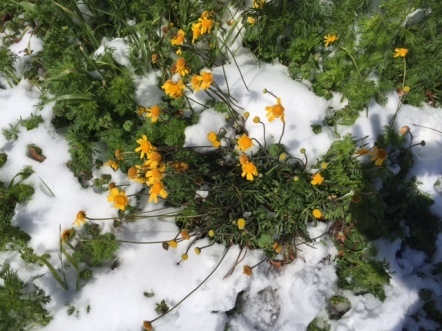 Collect seeds when they fall off easily, year-round. Fresh seed may germinate better.